We created a Table UI kit to help you design and build tables for the web. 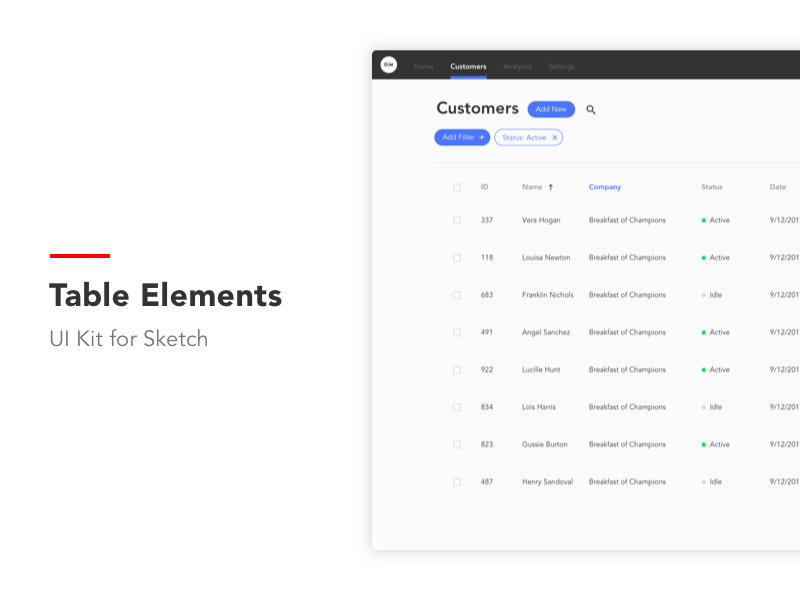 All elements are symbols that are compatible with the Sketch Runner plugin. Symbols and text layers were created with versatility in mind, and can be edited to fit your needs. This kit includes headers, rows, buttons, filtering options, and a set of Material icons.